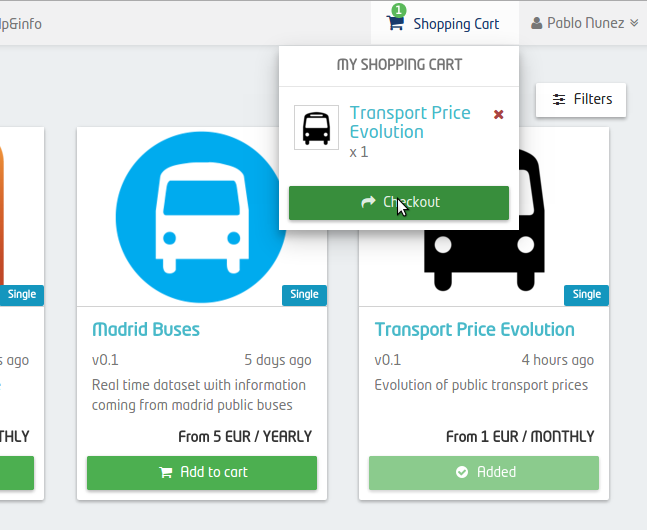 Customers can access the FIWARE Store to search and acquire one or more datasets published in CKAN. In this way, the FIWARE Store is in charge of notifying CKAN the acquisition of a private dataset and thus, give access rights to the specific user so she can consume the data. In order to acquire datasets, you have to enter the FIWARE Store and sign in with a valid FIWARE Account. 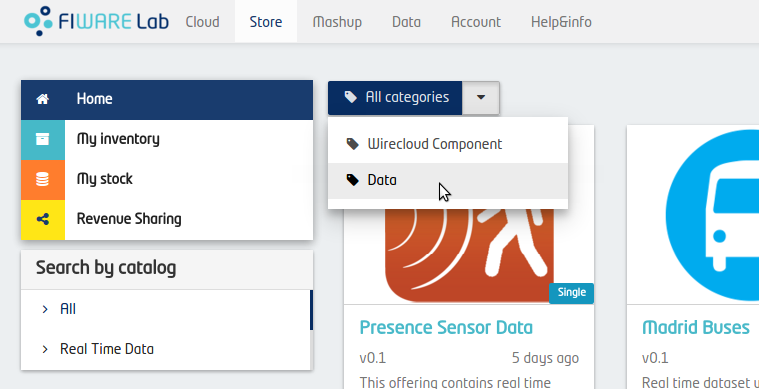 Once in the FIWARE Store, you can search for CKAN datasets filtering by category. In particular, you can browse categories using the breadcrumb located in the top of the offering list, and search for the “Datasets” category. 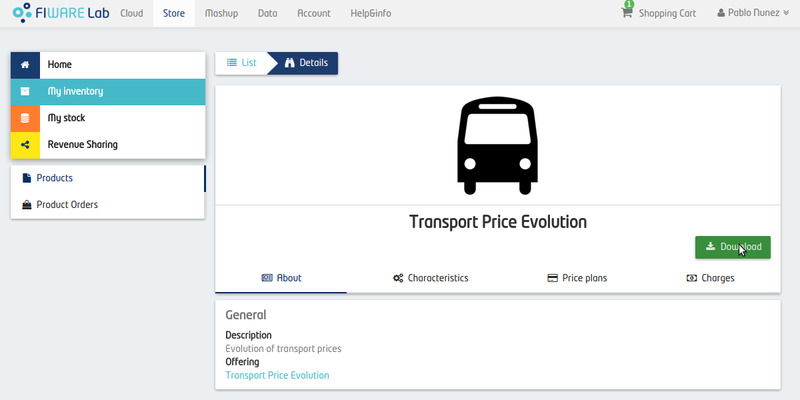 Once you have selected the Data category, all the Product Offerings where a dataset is offered are displayed. Therefore, you can choose those ones that fit your requirements and add them to the shopping cart by clicking on “Add to Cart”. 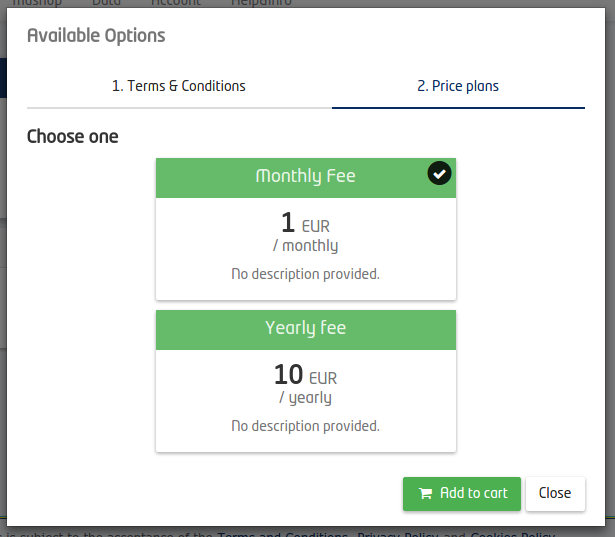 By clicking this button, a new dialog is displayed in order to allow you to select characteristics, if available, and the price plan. 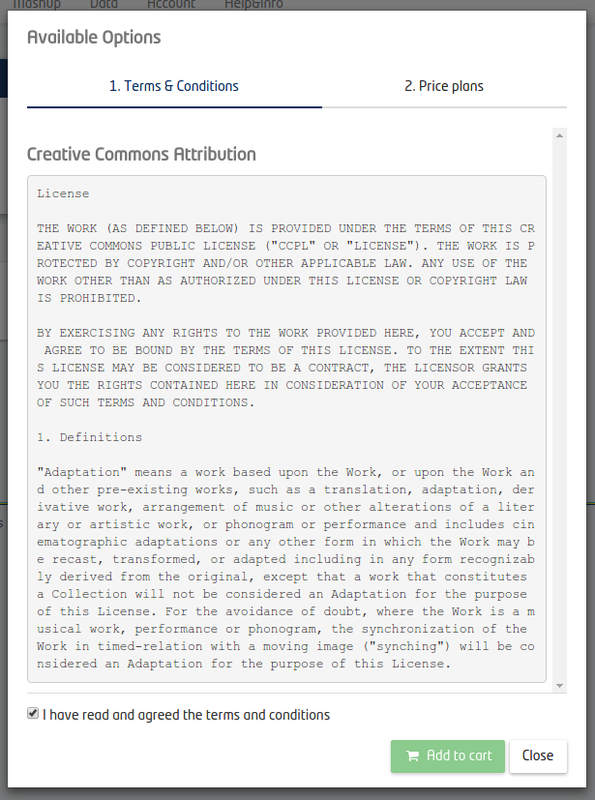 In addition, if the offering has some legal conditions attached, you will have to accept them before completing the process. Once you have selected all the Product Offerings you want to acquire, the next step is creating a Product Order. To do that, open the shopping cart and click on “Checkout”. Once the offering has been acquired and the payment has been confirmed, you are able to access the attached datasets. To do so, open “My Inventory” section, where you can see all the Product Offerings you have already acquired, and search for the dataset you have just purchased. 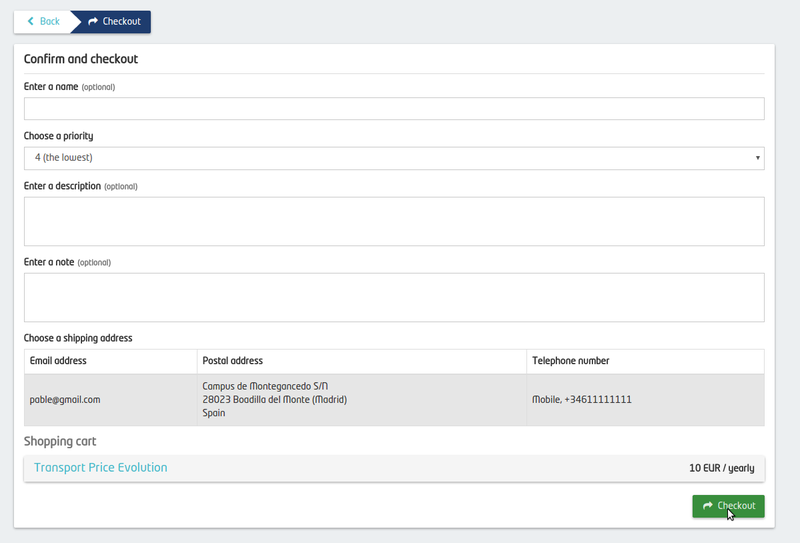 In the details of the product, you can see several information regarding the acquisition, including the characteristics and the price model you have selected, and the list of charges you have made (including its invoice). To access the dataset published in CKAN, click on the “Download” button.